Harrington’s Rogue Hop Deluxe. From the Brewers this one, a gift, a very welcome gift. 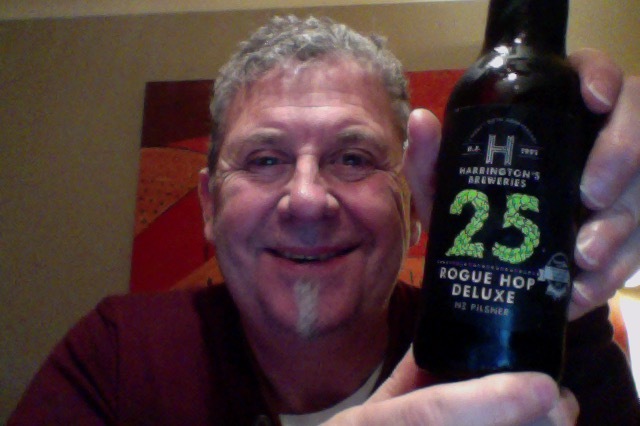 Harrington’s Breweries have taken there popular Rogue Hop NZ Pilsner and bumped it up 25% to celebrate 25 years of brewing in New Zealand. An abundance of extra hops really brings out the gooseberry flavours to party with the extra 25% stronger beer, this is a special limited edition so get in before the candles go out. On opening this you;d think nothing, strong hop note that is familiar and akin to “cats piss”, it really isn’t off putting, despite the way it smells. Trust me. Pour is really pale yellow, almost clear, but it pours with brilliance and has a perfect head, which for me it akin to impossible. Aroma didn’t change. it’s very strong. I smiled. And then you drink. Something brilliant. Really really bracingly good top notch bit of pilsner beer. Really really worth drinking top beer. Might of course be a bit enthusiastic, but if you get vanilla euro lager malt beers the this is like an oasis in a desert, it’s alike a light went one. This, if Pilsners were like this, then I’d be a pilsner drinker. Heavy on the cut grass taste on the tongue, also a brilliant amount of sugary cushion to make it balance, a flick of a finish and you’re ready to go again, it really is different, and a bit good. The intense hop level in this is unlike anything I’ve experienced, it’s really aggressive and almost IPA like but it’s softer and very rounded, less interfering, it’s just a bit good is what. I’d hate to think that Harrington’s wouldn’t make this again, or worse make it again and change it, they’d be mugs to., but they know their audience and this treads outside of their path, in my opinion. A good path – make reasonable beer with reasonable taste and enjoyment for everyone to enjoy not just the edges of the beer curve. That’s what you’d call proper business. This however is what you might call the proper business of beer, a totally stand out bit of work. There is a but, because you expect one, and that this does not have that ‘bite’ that ‘nip’ of hop harshness about it in the drinking, that scrape around the edge of the tongue. This though perhaps one of the best Pilsner beers I’ve had, and certainly in a long time. The pdubyah-o-meter rates this as 9 of its things from the thing. It just fails to top out on random scale of things because it lacks that hop bite that pilsners have and that I enjoy. This though if you’ve had a diet of other bland lagers is like an explosion going on, a party going on in the mouth. Where did I get it? The Brewer, Harrington’s sent me some, because they’re good people. Am I enjoying it? This is the happiest I felt for a long time. Would I have another? 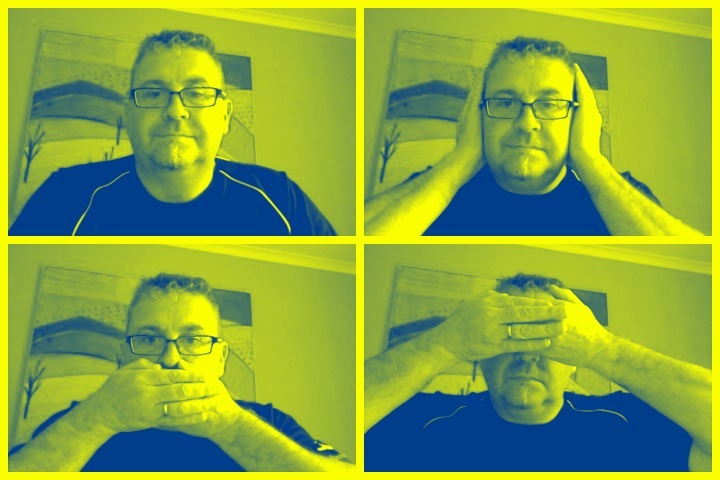 I had 6, there are now fewer… I may have to invest if I can find some. Would I share with a friend on a porch and set the world to rights? Yes, totally, no question, because this is a pilsner, a light coloured beer, that you need to drink. I’d bring some but I drank it all. Seasurfer, a Shoegaze/Dreampunk band from Hamburg, Germany. 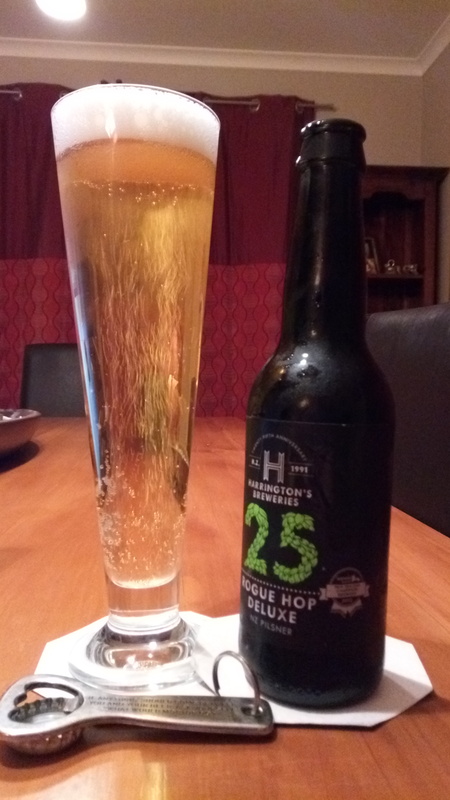 This entry was posted on August 5, 2016 by Philip Walter in Beer, Beer of New Zealand, Beer Review, Craft Beer, Critic, Harrington's, Justsaying, Pilsener and tagged Alcohol by volume, Beer Review, craft beer, Harrington's Rogue Hop Deluxe, Harringtons Breweries, Pilsener, Rogue Hop Deluxe.